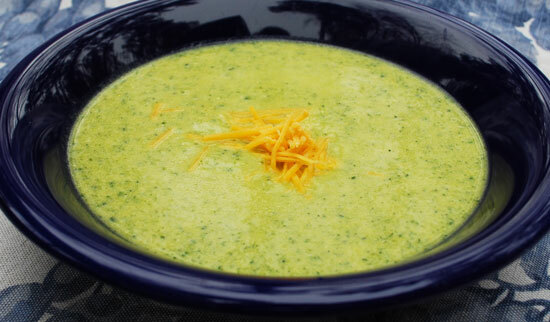 I wanted to post a recipe today for something sweet, especially for all you party goers who are joining me from the UBP; but I finally perfected my Broccoli Cheese Soup recipe and had to share – now both dairy free, gluten free and delicious! For the past while, I have been just making a straight creamy broccoli soup, which was ok, but I missed the cheese. And the kids, who use to gobble it up, were kind of taking it or leaving it when I made it. In fact I wasn’t eating it at all (ha ha)! So earlier this week when I was making it for lunch I decided to experiment. First I decided to use brown rice flour instead of regular white flour, as I am trying to make more things gluten free in our house (plus I have noticed that I feel tired after some things with gluten). Then I decided that I was going to throw in some of this fabulous non-dairy cheddar cheese that I discovered by Daiya foods. See one of the things I really do miss about not having dairy is cheese. And though there are lots of choices out there now for non dairy cheeses, I just couldn’t find one that I liked. They either didn’t melt well, or taste good and they definitely weren’t tasty enough to put on a cracker (yuk!). 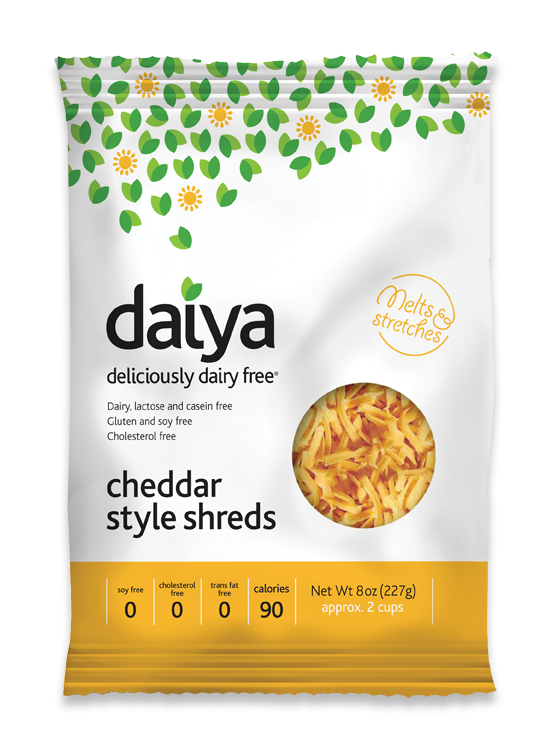 But recently I discovered this vegan cheese made by Daiya, a Canadian company actually (Go Canada) based in Vancouver. It melts, it tastes good and everyone gobbles it up! I think it is very close to tasting like dairy cheese and they make it in all kinds of flavours! They even sell it in slices so, guess what? We are now having grill cheese once again, which honestly used to be a staple for lunch. Anyway I tossed a handful of the Daiya grated cheddar into the blender and mixed it all up. It was fantastic! Luke gobbled it up, I ate it and will eat it again (this is a good sign). And it tasted really cheesy, like you would expect a nice cheesy soup to taste. I think this means I can go back to making my Cheesy Potato soup now…. The recipe for this soup is really easy and doesn’t take any time at all to make. Give it a try! You won’t be disappointed. 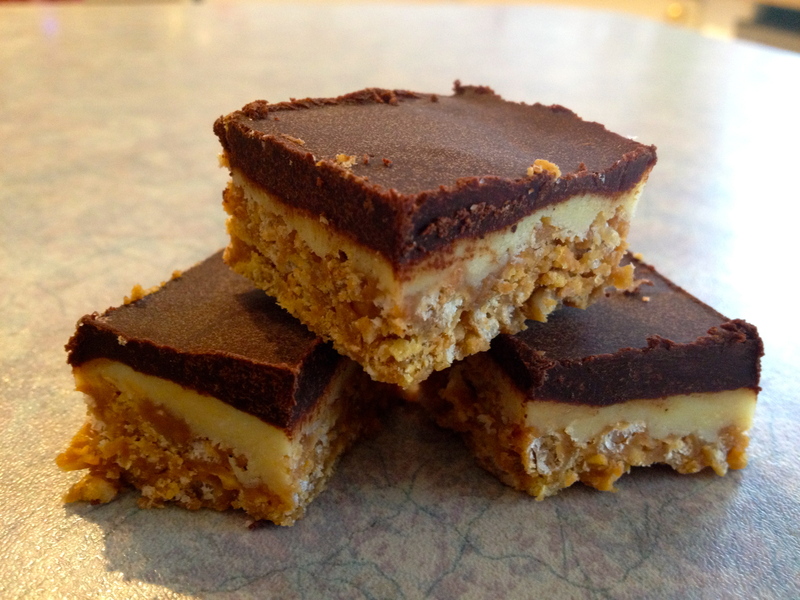 And for those of you who are looking for a little sweet treat, check out Chocolate Peanut Butter Cereal Squares, Marshmallows, Chocolate Macaroons. Do you have a favorite cheesy soup recipe? Please share it with us in the comments below. 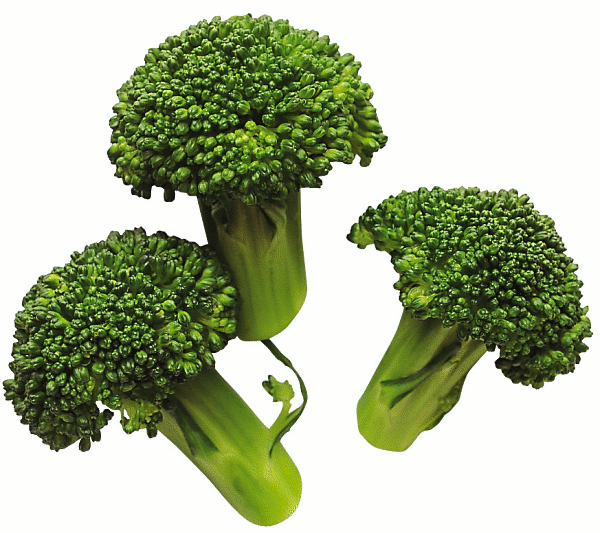 Cook broccoli in water in covered saucepan until tender. Drain and reserve juice. Put broccoli in blender. Add remaining 6 ingredients to blender. Process until smooth. Return to saucepan. Heat, stirring occasionally, until mixture boils and thickens. Makes 3 cups. This entry was posted in Dairy Free, Gluten Free, Health, Healthy Eating, Nutrition, Recipes, Sugar Free and tagged almond milk, broccoli cheese soup, chocolate peanut butter cereal squares, dairy free, Daiya, gluten free, marshmallows, no bake chocolate macaroons, recipes, vegan cheese by Carmen. Bookmark the permalink. THis looks delicious!!! I love broccoli. 🙂 THanks for sharing!